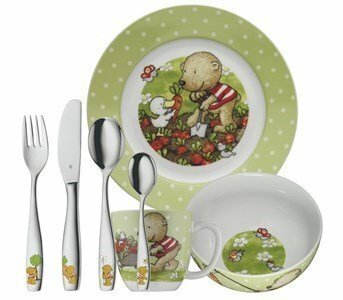 The popular and friendly "Pitzelpatz" bear plays between cutlery and cups to brighten up children's meals! And that's the what they like to eat! A game that teaches your children how to eat like adults. All meals will be eaten with big appetite and joy! Polished stainless steel cutlery with Cromargan Protect protection ®.